Oil derived from hemp is one of the most popular health and wellness products on the market today. Nevada is one of the most forward-thinking states when it comes to cannabis use, so finding CBD products here shouldn’t be a problem. Apart from legalizing marijuana for medical use, recreational marijuana is also legal in the state. Additionally, Nevada has one of the strongest CBD markets in the US amounting to $500 million in annual imports. Stores that sell CBD products are also abundant in the state and they offer a wide range of products for many purposes. Despite being a marijuana-friendly state, it’s still important to know the legalities of both marijuana and hemp derivatives in the Silver State. Yes, CBD products are legal in the state of Nevada. However, there are different regulations relating to marijuana/cannabis oil and hemp oil. Starting with marijuana — whether a person uses it for treatment or recreational purposes, NV residents have the liberty to do either or both. CBD products can be accessed safely throughout the state and you don’t even need a written recommendation from a doctor if you want to buy marijuana and its derivatives, including marijuana-derived oil. That said, it’s important to understand that residents can’t just consume marijuana publicly in NV. One restriction about it is that residents aren’t allowed to grow the plant unless they live near a licensed dispensary, specifically at least 25 miles away. It’s perfectly legal to buy marijuana anywhere in the state, but toking your way down the streets is prohibited and considered a misdemeanor. CBD cannabis oil should also be consumed in a private residence. The same goes for CBD hemp oil. But since CBD oil is odorless, some people get away with smoking in public since they can make it look like it’s regular vape juice they’re using. As for oil derived from hemp, the state follows the regulations enacted by the Farm Bill. The state hasn’t passed any legislation that could otherwise change the legalities of hemp-based products, which means you can buy these products anywhere as it only contains trace amounts of the psychoactive compound THC. For this reason, this oil is not covered by the Controlled Substances Act. What Kind of CBD Oils are Legally Available in Nevada? Both CBD cannabis oil and CBD hemp oil are available in the Silver State. The former is derived from the marijuana variety of the cannabis plant and the latter, from its hemp variety. How are these two different from one another? Oil derived from marijuana is rich in THC. Although this compound has medicinal properties, it’s what gives the user the euphoric or intoxicating feeling. This is the reason why it is not a sought-after remedy for various diseases. On the other hand, oil derived from hemp has very little THC. Taking any hemp-derived product won’t give the user the high that traditional marijuana is known to cause. As such, CBD hemp products are more consumed as a health supplement that will help alleviate the symptoms of many medical disorders. Since medical and recreational marijuana is legal in the state, it’s perfectly safe to possess and use both. But as mentioned, never do so in public. What can CBD Oil be Used for in Nevada? Nevada is one of the first few states to pass laws on medical cannabis, with over 60% of voters favoring Ballot Question 9 in the year 2000. The legislation has since undergone two amendments in order to expand the distribution and allow more people to have access to medical marijuana and CBD products. To use cannabis and its derivatives as medication, a resident of the state must acquire a written documentation from a physician licensed to operate in NV. There’s also a registry that provides residents with a better legal protection. The law states that a patient of the state’s medical marijuana program is allowed to possess up to 2 ounces of cannabis and grow up to 12 mature plants. The state is still on the process of considering additional medical conditions, which are subject to approval. How can I Get CBD Oil in Nevada? There is an abundance of vape stores and head shops where you can buy CBD products in Nevada. Since the market for CBD is booming, it is to be expected that more shops will open soon, which means it will be even easier to find a retailer with great deals. To those who prefer to have CBD products delivered to their residence, they can also get high-quality CBD products online. Can Doctors Prescribe CBD Oil in Nevada? Doctors of medicine or doctors of osteopathy licensed in the state of NV is allowed to recommend medical marijuana and its derivatives to patients. But since marijuana, in an essence, is still a Schedule 1 drug, it is considered illegal on the federal level. Therefore, doctors aren’t allowed to prescribe it. Are there Stores or Dispensaries that Sell CBD Oil in Nevada? Yes. Nevada has nearly 26,000 active medical cannabis cardholders in 2016. In 2017, the state has amassed 49 dispensaries, which are all open and operating. Additionally, there are many vape shops, head shops, and cannabis dispensaries in Las Vegas alone. These shops are known to sell high-quality CBD oil and other CBD products. Can I Buy CBD Oil Online in Nevada? Definitely. In fact, no matter where you are in America, you are technically allowed to buy CBD products as per 2014 Farm Bill and the Agriculture Improvement Act of 2018. Buying these products online has many benefits. For one, it’s easier to spot attractive deals and discounts on whatever product you might be needing. For those who want don’t have too much to spend on CBD, this is the perfect option. The process of buying online is also more simple and less complicated, that is if you already know what you want to get. All you have to do is choose a product, add it to cart, and click checkout. There’s no need to talk to anybody, haggle, or go outside to look for a CBD shop. Online shoppers also get to buy CBD products directly from the source. When you go straight to the manufacturer, you are assured of replacements and refunds in case you find a certain product unsatisfactory. When buying from an online retailer in NV, always check to make sure that the company follows strict industry standards. 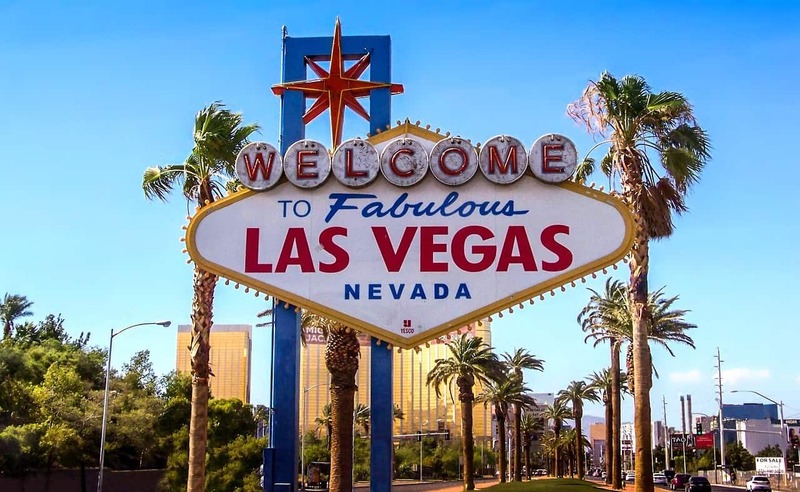 Nevada is one of the few places where cannabis lovers can enjoy their stash and other products derived from the plant in whatever form, including CBD oil. With its forward-thinking policies, the state has the potential to have the highest grossing CBD market in America. Apart from oils, you can also find balms, capsules, tinctures, wax, edibles, and CBD pet treats in the state. Marijuana laws are always changing, so for residents of NV, it’s important to keep updated.